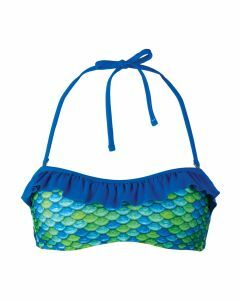 Be whisked away by the magic of the ocean in Zoey's Aussie Green Mermaid Tail! 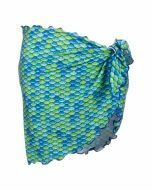 This gorgeous swimmable mermaid tail with scales of royal blue, sea green, turquoise, and jade give the appearance of real, overlapping fish scales. 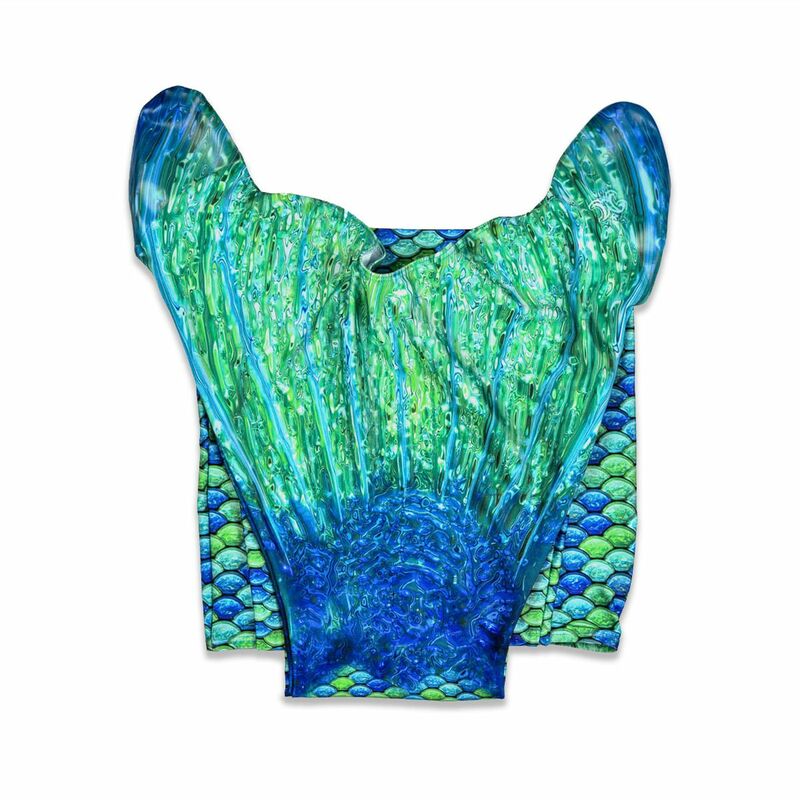 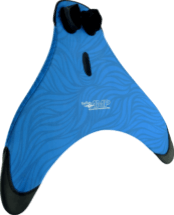 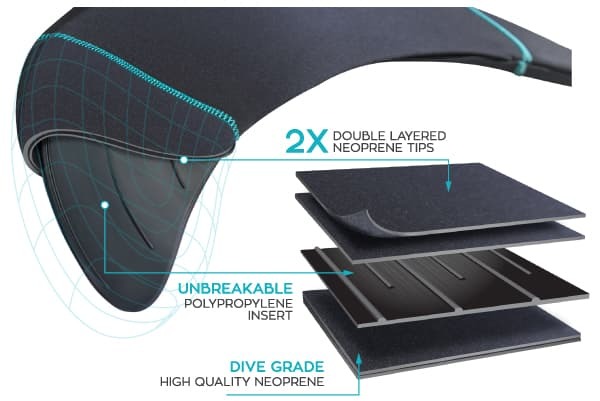 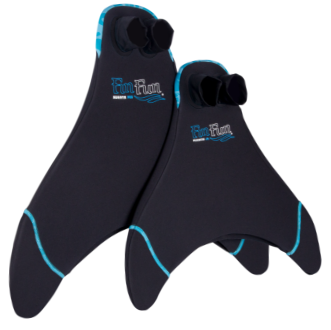 Plus, the fin has bright multidimensional faux "ribs" that help complete the true mermaid look. 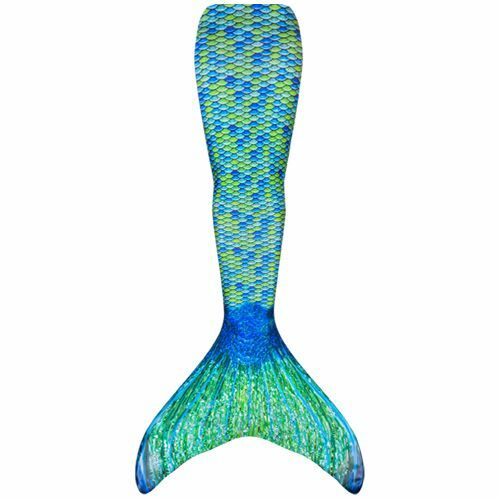 This multicolored tail is covered in realistic, bright mermaid scales for a look that is fun, flashy, and show-stopping! 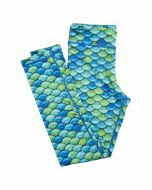 In gorgeous tones of blue and green, Zoey’s Aussie Green Mermaid Tail develops a beautiful sheen when the fabric gets wet. 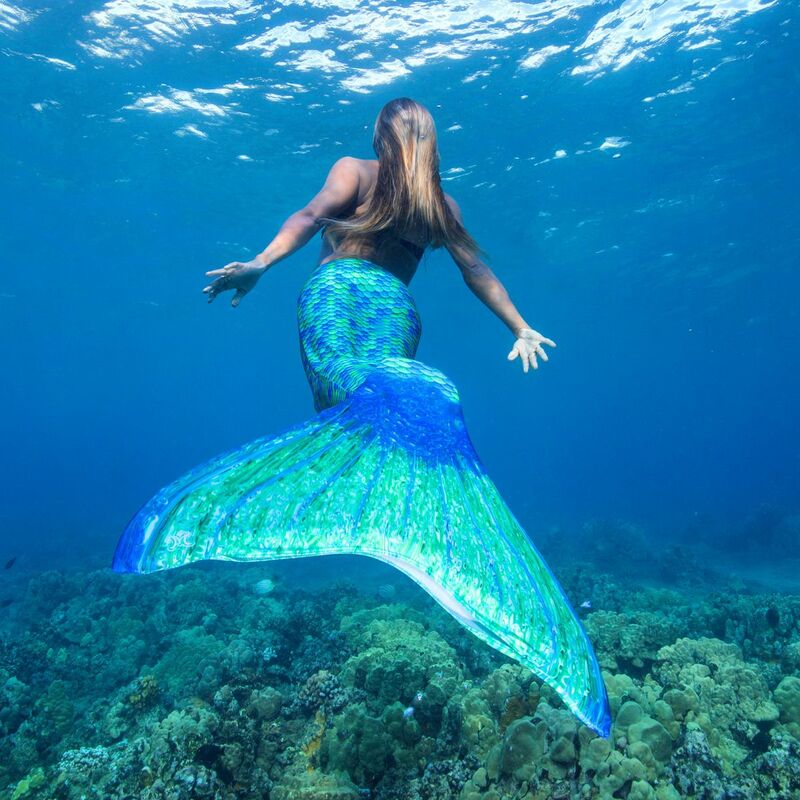 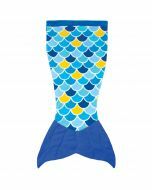 Made from our Mermaidens® line of specialty swimsuit fabric, this tail looks amazingly realistic when swimming and playing in the water. 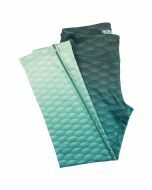 Our swimmable fabric mermaid tails are designed with a polyester/spandex blend that is ultra-comfortable and easy to wear. 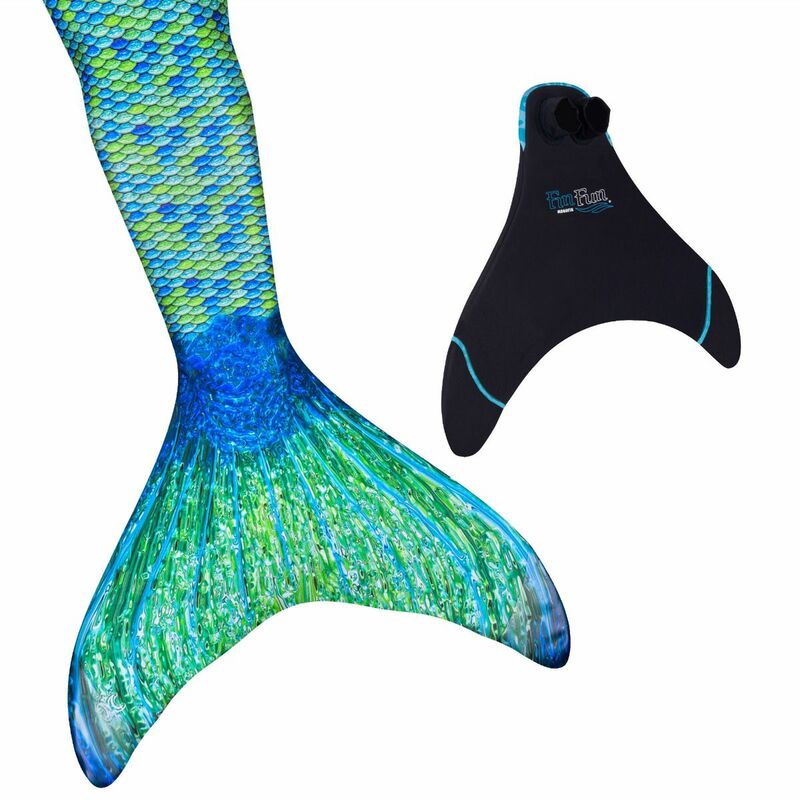 Plus, you’ll love the convenience of machine washing your mermaid tail in the gentle cycle with cool water. 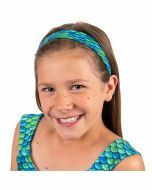 This mermaid tail is inspired by Mermaiden Zoey, the spunky, fun-loving mermaid who rules the Coral Sea in the exciting Mermaiden Tales. 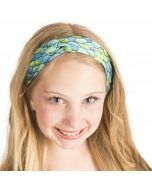 You can read these stories, play games, download free crafts, and more by visiting www.finfriends.com!